Whether or not it's the best, this is certainly the most audacious Monster Hunter game. World takes a dramatic leap into a look, feel, and size that feels truly new, simultaneously staying true to the series’ ideals by maintaining the addictive loop of combat, intimidating monsters and meaningful upgrades that fans love. The sheer depth and commitment required is still intense, but it clearly isn’t Capcom’s aim to court a casual crowd. This is as all-consuming and incredible a ride as ever. It's not an easy game and takes dedication to master its many intricacies and mechanics, but even so, Monster Hunter World is the best entry point for newcomers, and veterans will no doubt appreciate the slew of quality of life improvements. It's a Monster Hunter game at heart. 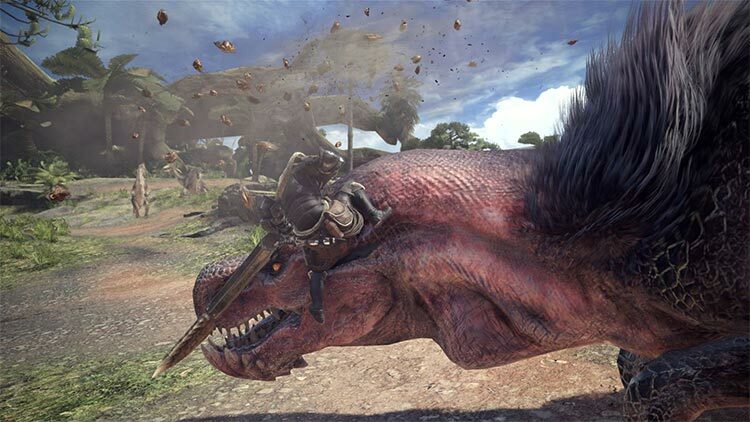 If you've been skipping out on Monster Hunter games for a while because they seem to blend together, jumping into World is your chance to get in. Just know that Capcom hasn't really shaken up the formula enough to piss off veterans or appeal to people who don't welcome grinding with open arms. They created an immersive living and breathing world, allowing players to fully enjoy the charm of the titular monsters within a credible ecosystem. Combined with solid improvements in story and gameplay, this makesÂ Monster Hunter WorldÂ a must-have game for veteran fans and novices alike. Monster Hunter World is a demanding game, but if you're willing to invest in it, you'll be rewarded with one of the most rewarding, addictive, and nuanced experiences of all time. 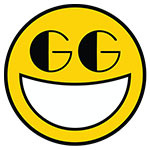 Those multiplayer quirks are overcome quickly, though, and I enjoyed my time the most when I was playing with friends. It should be noted that the monsters get considerably more difficult in multiplayer, but it really makes the hunts feel like a team effort when completing them. It all results in a really satisfying gameplay loop of gaining different types of armor, collecting specific drops, and learning your weapons. Even with everything that has been said, I feel like I’m just scratching the surface of what Monster Hunter World has to offer. The sublime combat against a variety of awe inspiring monsters- the meaningful sense of progression where every little thing that I did felt like it mattered- it all culminated to the thrill of the hunt in those moments where with only a single life left, I fought against the odds, shoulder to shoulder with a group of strangers who became my brothers in-arms and when it was all said and done, I waved goodbye knowing that we had shared an unforgettable moment of triumph… until the next hunt. Monster Hunter: World is one of the more rewarding action role-playing games I’ve played in recent years. 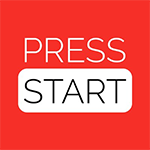 The game is enjoyable either solo or with other players, and it manages to take advantage of modern hardware to envelop you in a beautiful world. I never got into Monster Hunter before, but now I can’t wait for this game to officially be out, so I have more people to play with. Monster Hunter: World is still complex. It still won’t hold your hand through parts and may require a few friends for optimal enjoyment. It isn’t for everybody, but if you give it a little time and work, it’s a world worth visiting. For fans of the series and those dedicated to learning the game, Monster Hunter: World is an experience that can last players for a long time. With strong gameplay, a decent narrative, and a great aesthetic, Monster Hunter: World is one of the best entries in a series now accessible to many more players. Monster Hunter: World is the best game in the series, and a welcoming gateway for newcomers to get in on the tail-chopping, rodeo-riding, and titan-slaying. I never want to play the series on handheld again after this, as the grainy graphics and clawed clutch can’t compare to the redefined experience core platforms facilitate. Monster Hunter World is bursting with content and is a game that you can easily get over 100 hours in. The downside is that a lot of those 100 or more hours will be by your lonesome. While as a single-player game this title excels, the multiplayer matchmaking can be incredibly clunky and inexplicably doesn't allow you to stick by another player's side persistently. Ever since the title was first announced last year, it was clear that Capcom was gunning for something grander than Monster Hunter Generations. It has succeeded, and this is likely the biggest and best that the franchise has ever been. It's not just the comparative depth of the narrative; it also boasts almost seamless integration between combat systems that were previously incomprehensible for amateurs. Monster Hunter has been in need of a big change for years, and this reboot-of-sorts could have easily gone wrong. Instead, Capcom took a careful look at Monster Hunter's design and cut all the fat while leaving the series trademark dense gameplay completely intact. All the changes, from the broad, sweeping ones to the granular alterations, only serve to improve an already winning formula. As a long time fan of the MH series, I’m pleasantly surprised with Monster Hunter: World. I assumed this game would be dumbed-down to oblivion, but I was wrong: Capcom pulled it off. It’s fluid, many mechanics are intuitive and it endeavors to explain the ones that aren’t. It takes the best of Monster Hunter and offers them in a way that entices newcomers without repulsing long-time fans. Despite a strong focus on accessibility and numerous quality-of-life improvements over previous titles, Monster Hunter: World still begs you to muscle through your initial struggles and build a comfort level with the gameplay systems and pacing. Should you find yourself slowly embracing the concepts, you may blink and notice hundreds of hours have been invested, with you now proudly calling yourself a fan. Monster Hunter World is an incredible achievement. It manages the nearly impossible feat of taking a franchise known (and in many corners beloved) for it’s incredible complexity and depth and making it significantly more approachable, without in any way stripping it down or diminishing it. 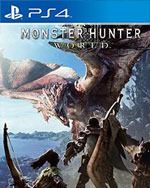 It tells the most compelling, kinetic story in any Monster Hunter yet (not a tremendous feat, admittedly, but this is a worthy and interesting story) and offers some of the most interesting and addictive action combat in any franchise, bar none. My interest is waning, though. Maybe I’m asking too much, but I really wanted a living, breathing game. Even though Monster Hunter: World does have events, it falls short of what it would take to keep me invested for the long haul, but that’s okay. As a first-time player of the series, Monster Hunter: World has given me unique experiences and memories that, for better or worse, other games will be measured against for years to come. That has to be a win. Monster Hunter World is a solid title that will soak up a lot of time if you enjoy beautiful graphics, hunting beautiful, dangerous and unique creatures, and crafting buttloads of weapons and gear. The learning curve is considerably more shallow than previous Monster Hunter titles but simultaneously steeper for beginners than it usually is for games in general. Monster Hunter: World is an absolutely brilliant reimagining of an already-adored franchise. It improves on every aspect of past games and even fixes most -- if not all -- of my major gripes with the series. It may just be a silly game about hunting monsters, but it's so well refined and put together that it's honestly a hard title to ignore. For the first entry into a new generation, Monster Hunter: World wastes no efforts in making itself a sprawling experience with enough content to keep people going even without the planned free DLC quests. There’s something for every kind of hunter, whether looking to strategize or just go in with brute strength, in addition to those who like taking a break and exploring all there is in the new world. Honestly, if the Low and High Rank portions wasn’t as polished and an incredible experience to go through. This score would be 7/8 margin just because compared to previous games, the rotating event quests, RNG investigations for RNG loot, reduced weapon and quest pool, and less challenging solo player end game. But, with the incredibly constructed world, incredible combat experience, and cohesive experience. The downpoints are more just demands for more content. The environment also plays a huge role in combat and can be used to your advantage. As you're hunting, monsters that grudgingly share the same territory will often break out into a turf war; tearing off each other scales and essentially doing your dirty work for you. You can also climb vines to jump on monsters riding them like a rodeo bull as they viciously struggle to knock you towards the ground. Monster Hunter World is a fantastic action RPG that players can enjoy for hundreds, if not thousands of hours due to its sheer amount of quality content to experience. For all its flaws, Monster Hunter: World is a game that manages to balance the expectations of newcomers while not straying too far from its roots. It is clear Capcom have tried their best to make it as accessible as they can without breaking tradition. This might frustrate new players who are expecting to have their hand held throughout the beginning, but if a newbie like me can pick it up in no time then it shouldn’t be too difficult for you. After 60+ hours and having just recently finished the bulk of the main story and hitting High Rank, there's still so much more I've yet to see. For the sake of getting this review out before Christmas 2142 all you need to know is that Monster Hunter World is an amazing, complex, and beautifully realised evolution of the franchise. It's been made extremely accessible to new hunters, whilst also being an enjoyable and thoroughly rewarding game for existing fans. Por supuesto que no se salva de defectos muy claros que debíamos resaltar, pero en general estamos frente a un gran producto que rápidamente se posiciona como uno de los juegos que seguro no deberemos de perder de vista cuando se revise lo mejor que nos haya dejado 2018. Una sensacional puerta de entrada para los nuevos que estén dispuestos a probar las mieles de cazar monstruos, y otra gran razón para regresar a las andadas para quienes ya lleven tiempo en el negocio. 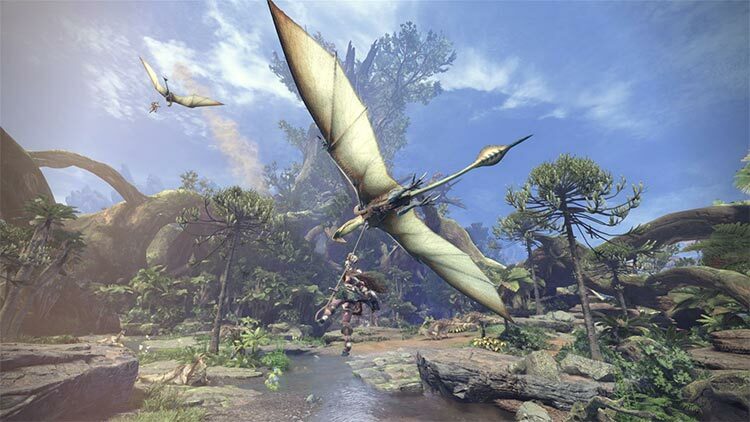 Monster Hunter emprende sus cacerías en la nueva generación de consolas con éxito. Es un título muy respetuoso con sus claves, pero que entiende la necesidad de renovarse. 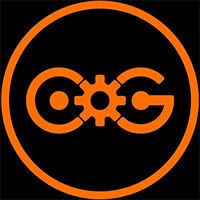 Básicamente, es un juego más ágil y satisfactorio, el cual se ha liberado de unas cadenas que impedían a la serie mostrar todo su esplendor. Mantiene y potencia ciertos aspectos, con algunas novedades, pero manteniendo las tradiciones, con un conservadurismo que tal vez suponga su mayor punto criticable. Pese a las dudas que existían sobre un salto tan importante, por fin a sistemas de sobremesa de tecnología a la última, Capcom ha cumplido con creces y ha hecho desarrollarse a la veterana saga de cacerías y Felynes. Monster Hunter World es, en términos de números, tamaño, profundidad y posibilidades, la mejor entrega jamás creada y un exquisito ejercicio de renacimiento que ya quisieran otras marcas obligadas a renacer o adaptarse a las nuevas consolas. Monster Hunter World supone en la saga lo que muchas en su día al dar el salto a las tres dimensiones, por cambiar la forma de entenderlas e interpretarlas. Aquí todo se mantiene, pero también todo cambia. 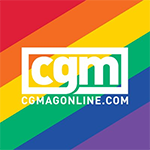 Es una puerta de entrada para millones de jugadores que, o bien no se atrevieron o bien se vieron abrumados, pero que en definitiva no se vieron atraídos por el potencial de lo que puede ser un fenómeno también en Occidente. Religión en Japón, esta entrega pone todos los puntos sobre las íes; no da puntada sin hilo. Mucha gente llegará a Monster Hunter World sin haber tenido ningún contacto previo con la serie; la grandeza del juego de Capcom es que esta vez no solo es esa gente la que asiste boquiabierta a las muchas maravillas que esperan en los mundos que visitas siguiendo el rastro de Zorah Magdaros. No sé si lo conseguirán algún día, pero no será porque lo intenten: jamás ha habido un Monster Hunter tan rotundo y abierto, tan accesible y robusto, tan fascinante tanto para quienes lleguen de primeras como para los que llevan unos cuantos años cazando monstruos. Los puntos que Capcom mejoró de una franquicia que no era popular en todo el mundo y que por primera vez tiene un lanzamiento simultáneo global nos ofrecen una de las experiencias más cómodas de la serie sin que se pierda la magia que la hizo triunfar en Occidente. Variedad, jugabilidad bien pulida y motivación constante para regresar son los elementos clave de esta nueva entrega. La caza nunca había sido tan épica, profunda y espectacular como en Monster Hunter World. Más de 40 horas (si sólo vamos a pasar la historia) de explorar entornos sorprendentes y estudiar criaturas que parecen "vivas". Y con un modo online cooperativo muy ajustado. Todos los cambios que se han realizado nos han parecido para bien, jugablemente es una auténtica delicia, los combates contra los monstruos son épicos como ellos solos, tiene contenidos para tenernos entretenidos durante semanas y que se ampliarán de forma gratuita, su multijugador es de lo mejor que hay en consolas actuales y a nivel audiovisual es bonito y espectacular como pocos. Así pues, y sabiendo que estamos ante uno de los grandes del año, solo nos queda una pregunta por haceros: ¿Estáis listos para adentraros en el Nuevo Mundo? Nach der Beta zu Monster Hunter World war ich eher abgeschreckt. Mit der Vollversion des Spiels hat mich Capcom aber überzeugt. Grund dafür ist die langsame Einführung aller Features, sodass ich mich in Ruhe mit dem Spielprinzip der Monster Hunter-Reihe vertraut machen kann. Dass die Handlung dabei nicht gerade spannend ist, kann ich World verzeihen. Im Mittelpunkt steht sowieso der Online-Multiplayer mit Freunden und anderen Spielern. Monster Hunter World est le véritable reboot d'une des séries phares de Capcom. Tout en gardant les bases et l'essence même de la série, à savoir des combats en équipe, difficiles et techniques, contre de gigantesques monstres, permettant de se fabriquer de nouveaux équipements à partir de récompenses lootées sur les cadavres de nos ennemis, les développeurs d'Osaka envoient balader d'un coup d'un seul toute la rigidité des anciens épisodes pour entrer dans une nouvelle ère, avec des mécaniques bien plus ergonomiques et d'actualité. Comme un carnassier affamé à qui on aurait retiré la muselière, Monster Hunter World déboule la bave aux lèvres, avec l'envie de tout bouffer, sans le moindre respect pour ses propres plates-bandes. Après des années passées à le peaufiner, Capcom transfigure ici son propre concept du jeu de chasse, en offrant des terrains de jeu luxuriants d'une richesse visuelle inouïe, pour y planter un bestiaire aussi impressionnant que redoutable. 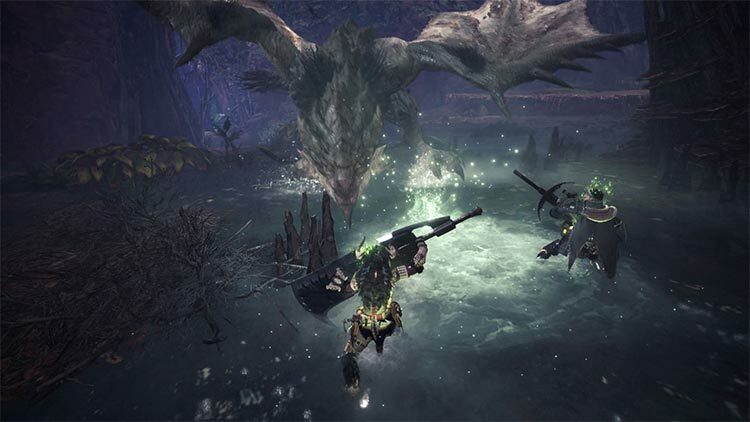 Le double pari est donc réussi pour Capcom qui propose avec Monster Hunter World un épisode aux mécaniques en partie retravaillées, doté de très solides arguments capables d’attirer aussi bien les chasseurs vétérans que les joueurs débutants. Cet opus du renouveau dispose de solides arguments pour vous convaincre : de vastes zones bourrées à ras-bord d'interactions, un casting de nouveaux monstres très convaincant, un mode multi à l’accès enfin intuitif, une jouabilité jouissive et sans faille et, pour couronner le tout, la promesse d’ajouts de contenus réguliers et gratuits de la part des développeurs. Souvent considérée comme un produit de niche en Europe, la licence Monster Hunter vient de se trouver un porte-étendard avec Monster Hunter World. Ce nouvel opus donne un coup de pied dans la fourmillière et réveille une licence qui se reposait sur ses lauriers depuis quelques années. Si le contenu est un peu plus maigre que les précédents épisodes de la série, Monster Hunter World arrive avec une vision plus moderne de la chasse aux monstres. Fini les temps de chargement à répétition et les combats jugés trop lourds à l’époque. 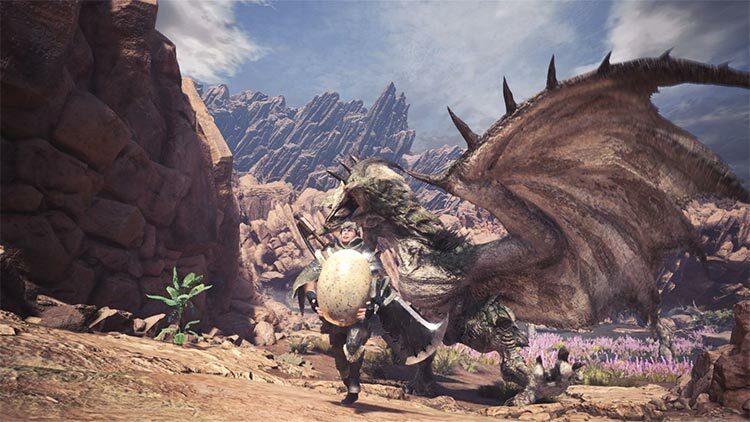 Monster Hunter World é aquilo que tanto se pretendia da série, uma iteração que melhora erros do passado e aperfeiçoa mecânicas para uma experiência única, tudo, sem loadings entre áreas e ao longo de mundos recheados de vida e coisas para interagir. Os imponentes golias revelam-se mais marcantes que nunca face ao upgrade visual, um salto que tem tanto de genial como de arriscado em todos os sentidos, fazendo que World inaugure uma nova era na série, um autêntico marco que dita que daqui para a frente, apenas pode melhorar. Perché Monster Hunter World, alla fine, è esattamente come uno dei mostri che lo caratterizzano. Inizialmente spaventoso e apparentemente inaccessibile, diventa man mano sempre più malleabile, sempre più domabile. Graficamente non eccezionale, ma neanche brutto, ha dalla sua un monster design strepitoso. Se riuscite a entrarci, difficilmente lo mollerete e finirete col dedicargli probabilmente anche diverse centinaia di ore di gioco. Riassumendo, possiamo dire che Monster Hunter: World è riuscito a catturare pienamente lo spirito della serie, proiettandolo finalmente in un contesto moderno, sia sul fronte tecnologico, sia su quello del gameplay. Per i nuovi giocatori, e per quelli meno avvezzi a certe tortuosità decisamente nipponiche, la nuova fatica Capcom rappresenta il punto di partenza ideale per innamorarsi di questo brand. Есть и взрывные эпизоды — попытка поймать гигантского монстра размером с каньон, например, со стрельбой из пушек и забегам по спине колосса. Но это исключение из правил. Пока. Что там будет в сюжете дальше я не знаю (прохожу все-все сайды, поэтому по истории двигаюсь не очень быстро), а потому и окончательных выводов не делаю. А впереди еще и расхваленный западными рецензентами хардкорный эндгейм — есть что поизучать, прежде чем поставить игре финальную оценку! 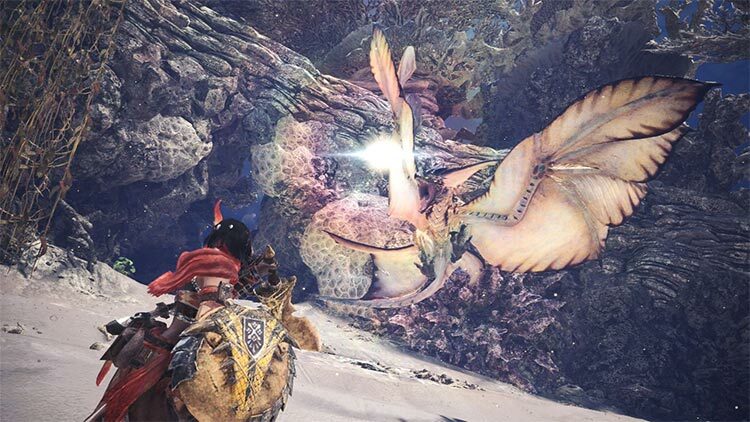 Uzun lafın kısası Monster Hunter: World, sizi aylarca başında tutacak ve sıkmayacak içeriği, detaylı ve eğlenceli oynanış yapısı, co-op imkanı, evreni ve dünyası ile 2018 yılının en başarılı oyunlarından biri olacak gibi gözüküyor. Ufak tefek performans sorunları da güncellemeler ile giderilirse, bizlerin yüzlerce saatini alabilecek bir oyun var karşımızda. Eğer siz de şöyle arkadaşlarımla oynayabileceğim, hem sıkmayacak hem de kalteli bir RPG oyunum olsun diyorsanız, Monster Hunter World sizin için biçilmiş kaftan. Monster Hunter World bevat nu al tientallen - zoniet honderden - uren aan complexe maar bevredigende actie, ongeacht je speelstijl en ervaring. Het sturende verhaal leert nieuwe spelers de diepgaande gameplay op een aangenaam tempo kennen, en biedt veteranen de context die in eerdere delen ontbrak. De bergen aan ‘quality of life-verbeteringen’ leggen de focus nog meer op het jagen zelf, en maken het nog makkelijker om opgeslokt te worden in de nieuwe wereld. Dotychczas spędziłem z grą Monster Hunter: World około 18 godzin. W tym czasie ubiłem masę potworów, przetestowałem większość typów broni i zjadłem kilka obfitych posiłków. W najbliższych dniach będę mordować kolejne stwory, by jak najszybciej móc wystawić temu tytułowi finalną ocenę. Jeśli chodzi o moje doświadczenie z tym gatunkiem, to grałem zarówno w poprzednie odsłony cyklu Monster Hunter, jak i gry zainspirowane serią Capcomu, takie jak Toukiden, God Eater, Freedom Wars i niedocenione Soul Sacrifice.